This Alta Health Insurance Company review explores Longwood, Florida-based Alta Health Plans. Alta Health Plans is owned by Canadian insurance company, Great-West Life & Annuity Insurance and Great-West Lifeco. The ultimate parent of Alta Health Plans is Power Financial, a Canadian financial company with primarily U.S.-located holdings. Alta offers health insurance products and services to individuals, families, and businesses. If you’re hoping to save money on health insurance rates, take the first step to receive free comparative health insurance quotes from interested insurance companies. Enter your zip code to initiate the flow of fast, free health insurance quotes! Great-West offers annuities and life insurance programs, and administers 401(k) and defined benefit pension programs for employers. Great-West sells financial products and services through a U.S. and Canadian independent agent network and regional office system. The company has developed strategic partnerships with Charles Schwab, Bank of America, and Citigroup in the United States. 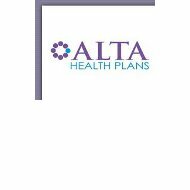 Alta Health Plans help employers provide limited health plan services to their employees. Employees receive assistance with wellness care, in-patient hospital admissions, accidental injury, prescription medicine discounts, and doctor visits within the Alta Health Plan network. Although employees do not receive the full range of services offered by major medical coverage, Alta Health Plans support employees without the financial needs to access more expensive health care insurance services. Employees receive access to a supportive call center and/or a visit with a representative benefits counselor to explain the range of the Alta Health Plan program. Plan administrators and billing professionals work together in one location, and are available to respond to employees’ questions about their health plan. According to Dun & Bradstreet, parent Great-West Lifeco generated $2.03 billion in sales for fiscal year-end December 2009, and generated 0.84% sales growth from 2008 to 2009. The company’s net income was $122.44 million. Net income growth was negative 88.85% year-to-year. The company has total assets of approximately $41.80 billion. The company is considered a low-risk vendor. Ultimate parent, Power Corporation of Canada, employs more than 31,000 people around the globe. The company generated $32.89 billion in sales in 2010, and enjoyed a 4.11% one-year sales growth increase. Power Corporation’s net income was $906.82 million: one-year net income increased by 39.54% year-to-year (2010 vs. 2009). The organization has total assets of approximately $146 billion and a market value of about $10.55 billion. The company is considered a low-risk vendor by Dun & Bradstreet. Power Corporation was originally founded in the 1920s as a hydroelectric power generator and utility. The company operates as a financial firm, and holds a major stake in Power Financial. Power Corporation also holds a controlling interest in IGM Financial, a large Canadian mutual fund company. In addition to Great-West Lifeco, Power Corporation owns Gensca, the publisher of “La Presse” (Montreal) and an assortment of other daily publications in Ontario and Quebec. Power Corporation owns a controlling majority interest in Pargesa Group, involved in wines and liquors (Pernod Ricard), utilities (GDF Suez), energy generation (TOTAL), and construction (LaFarge). Finally, the company owns majority stock in Groupe Bruxelles Lambert, a European investment firm. Alta Health Insurance Company actively competes in the limited health plan arena with other insurance companies like AXA Financial, John Hancock Financial Services, and Nationwide Financial. The company competes in some regional markets with Industrial Alliance Insurance and Financial Services, Liberty Mutual, MetLife, Lincoln Financial Group, Manulife Financial, Mutual of Omaha, State Farm, Pacific Mutual, The Hartford, and Western National. As small employers struggle to offer health insurance and employee benefits, providers like Alta Health Plans are poised to gain clients. According to the Alta Health Plans website, 42% of small businesses do not offer health care benefits to employees. More than half of all U.S. employers don’t offer health benefits to part-time employees. The U.S. Census Bureau reports that more than 50.7 million Americans are without health insurance coverage of any kind. Although Alta Health Plans don’t provide a complete solution to these issues, offering limited health plan coverage helps to retain employees. Everyone knows that the cost of valuable health insurance benefits is on the rise. Compare your health insurance rates with health insurance quotes from competitive insurers. Start now to save today!